In the absence of a photo of Manna gently falling on the Sinai Desert, I felt Big Ben was a suitable iconic alternative! 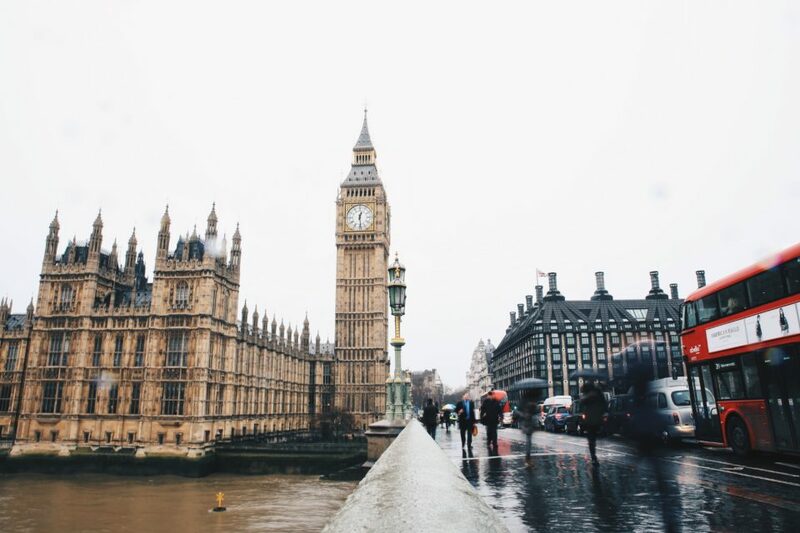 The people and the traffic give a sense of busyness, and of course the rain adds to the Britishness…..so I am delighted to hear that you loved the photo (courtesy of @sandstromfilm). This week we will continue with the theme of Autumn with a closer look at the blackberries. You may recall that Keats begins his poem, ‘To Autumn’ with the following line: “A season of mists and mellow fruitfulness”. The trees in the orchards, that I have visited this year, have been weighed down with abundant fruit and the hedgerows have had plenty of blackberries! So, find yourself a place to sit quietly and take a moment or two to let go of your morning. Breathe in deeply and let it out slowly. Do this a few times and relax into stillness. 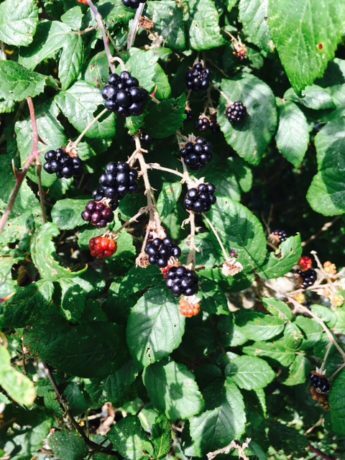 Look carefully at the photo of the blackberries below …………………………. As you look, ask God what he is wanting to highlight to you through this picture………………………………………………. In your imagination, to place yourself in the picture, as a blackberry or a leaf…………………………………..
What are you aware of? How do you feel in this position?……………..
What is God saying to you?…………………………………………………. Read the verses below, and then take a moment or two to praise and thank God, for the way he has met you in this time of reflection and stillness.